Russia's representative has arrived in Kiev on the personal invitation of the Ukrainian president. President Petro Poroshenko met Russia's representative in the trilateral contact group in a Donbas settlement, Boris Gryzlov, in Kiev on 11 January 2016 to discuss a broad range of issues concerning the two countries' further relations, ZN.ua has quoted its source as saying. The source said that Gryzlov had arrived in Kiev on the personal invitation of President Poroshenko. Because of this his plane was promptly provided air passage and a permit to land. The purpose of this meeting was to discuss the key points in the relations between Moscow and Kiev. 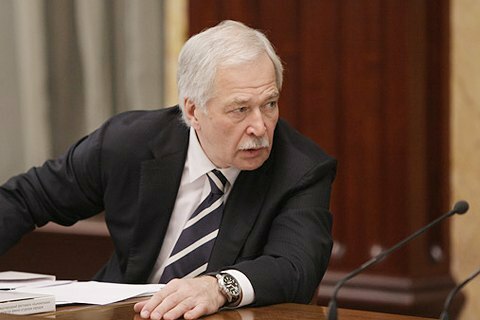 According to the source, Gryzlov was authorized by Vladimir Putin to discuss these issues. Poroshenko's meeting with Gryzlov started right after the president returned to Ternopil at approximately 2200 Kiev time. The source said that the meeting ended at 0100 the next day, after which Gryzlov was taken to Boryspil airport which he left at 0200. The source also said that one of the issues raised during the meeting concerned amendments to the constitution which the Ukrainian parliament should consider by the end of the current session. Russian President Vladimir Putin recently told the German daily Bild that the Ukrainian authorities had not implemented the Minsk agreements as far as constitutional amendments were concerned. It was previously reported that the Russian representative arrived in Kiev for talks with the Ukrainian representative in the trilateral contact group, Leonid Kuchma.